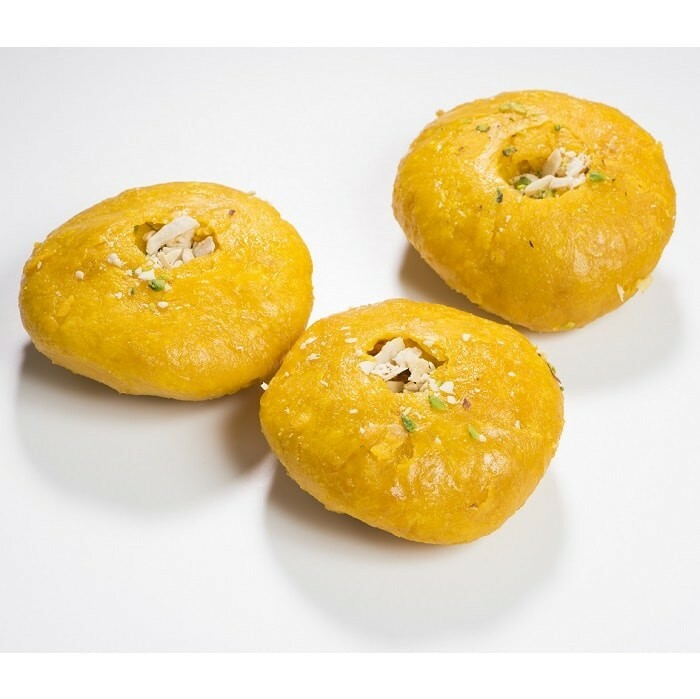 Buy Mawa Kachori of Laxmi Mishthan Bhandar from Jaipur online | Authentic Indian Sweet , Savories and Delicacies from the place they originate by Moipot. Literally called the ‘Land of Kings’, Rajasthan is synonymous with delicious food and this mawa (thickened milk) kachori is a tasty example of it. An exotic dessert, this delicacy is stuffed with mawa & dry fruits and coated with sugar syrup, making it for a festive royal dessert.